Traveling by air can be a stressful event. It’s a time when you would certainly want the comfort provided by your emotional support dog. However, bringing your animal on board the plane with you -- even if he provides you with critical emotional support -- is not a simple process. Many airlines have certain regulations in place that require you to take necessary steps before your emotional support dog can accommodate you in the cabin. If you have questions such as, “are emotional support dog vests required on flights?” and “do I need a note from my doctor?” we will answer them here. Emotional Support Dog Vests: Are They Needed to Fly? Emotional support dog vests operate similarly to the way that service dog vests do -- they show other passengers that your dog is helping you and is not a pet. 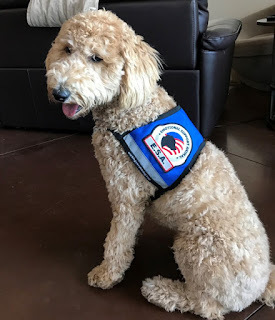 However, due to the important federal laws stating that emotional support dogs are distinctly different from service dogs, you may encounter some difficulty when trying to board a plane with one, vest or no vest. As with ADA law, staff may not inquire about a passenger’s disability. 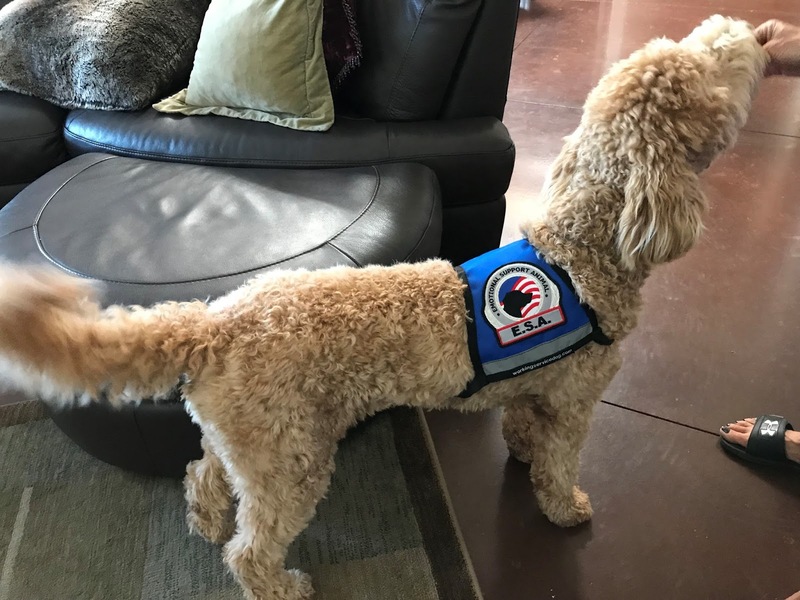 Therefore, emotional support dog vests are not required, but having one can be helpful in distinguishing your animal from a pet someone might try to fraudulently bring on board. Is Documentation Required to Fly with an Emotional Support Dog? Please note: some airlines require your documentation to be verified 48 hours before your flight. Be sure to give yourself and your physician enough time to get your documents in order. Flying with an emotional support dog is possible for anyone, provided they follow the airlines’ rules. Airlines put strict regulations in place to ensure that only the passengers who truly need their service or emotional support animals can have them close by while traveling. So before you embark on your flight, be sure to outfit your dog with an emotional support dog vest and have the right documentation in order to support your legitimate claim.